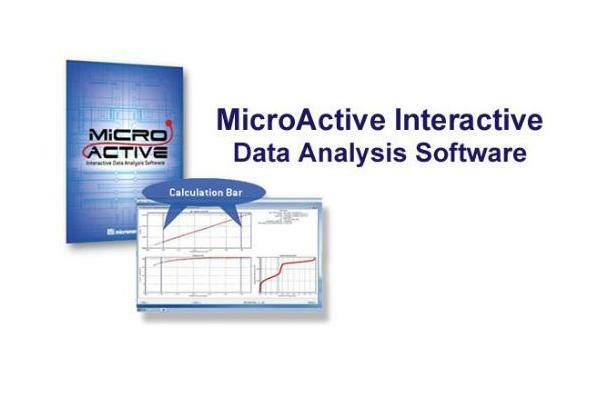 Micromeritics’ innovative MicroActive software allows users to interactively evaluate isotherm data from Micromeritics ASAP, TriStar, and Gemini gas adsorption instruments. Users can easily include or exclude data, fitting the desired range of experimentally acquired data points using interactive, movable calculation bars. Isotherms can be viewed on either a linear or logarithmic scale and available to the user under each calculation model. No need to generate reports to review results – now see it graphically and interactively on screen. An experimental data view is user selectable in addition to traditional advanced or basic views. Simply opening a data file gives the user direct access to their data. It is not necessary to generate reports to view results. Rapidly switch between the traditional view and the new graphical view. Screen layout has been designed to provide a user-friendly interface. Many gas adsorption models are included - all using the isotherm data. Interaction with adsorption data is direct. By simply moving the calculation bars, the user is immediately updated with the new textural properties. One-click access to important parameters allows the user to focus on the result rather than the parameters. Interactive data manipulation minimizes the use of dialog boxes and tunneling of dialogs to specify calculation parameters. This allows the user to accurately and efficiently determine surface area and porosity of their materials. Eliminates multiple, manual trial runs to determine optimal fit of the NLDFT model to experimental data for roughness and residual error correction – immediately update results information.